Starc, who didn't figure in any game for KKR last year after getting injured in the Test series against South Africa, has filed a lawsuit in the Victorian County Court last week. According to a report in the ‘Sydney Morning Herald’, Starc, who didn’t figure in any game for KKR last year after getting injured in the Test series against South Africa, has filed a lawsuit in the Victorian County Court last week against the insurers of his lucrative IPL deal. Starc was one of the most sought-after Australian players at the 2018 IPL auction when KKR snapped him up for USD 1.8 million, a price tag which was bettered only by hard-hitting Chris Lynn, who went for USD 1.86 million. 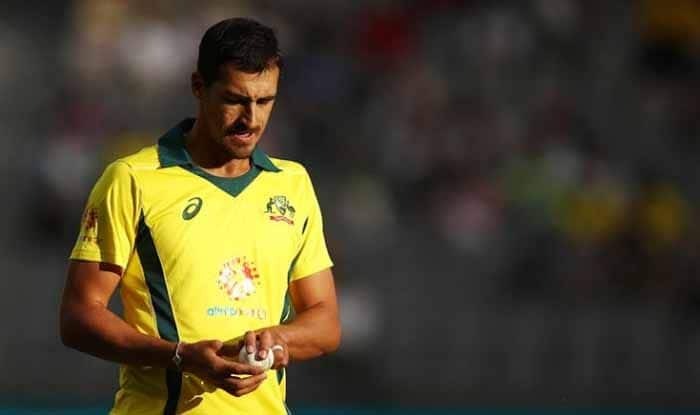 But Starc didn’t feature in the world’s richest T20 tournament last year after suffering a calf injury in the Test series against South Africa, which was marred by the infamous ball-tampering incident involving Steve Smith, David Warner and Cameron Bancroft. Starc, who is represented by Mills Oakley lawyers, has sued a syndicate of Lloyd’s of London, the long-running insurance market where coverage can be bought for unique circumstances that traditional insurers don’t offer. According to court documents assessed by the ‘Sydney Morning Herald’, Starc paid a premium of USD 97,920 to be covered between February 27 and March 31 in 2018. But on March 10, Starc claimed he started feeling pain in his right calf while bowling during the second Test in Port Elizabeth.